Caregiving is becoming a big part of everyday life for millions of families throughout the United States. As our population ages, families, not institutions, will provide the majority of care to chronically ill and disabled loved ones. More families are providing care for an older adult at home now, and an increasing number of people will need such care in the future. These family caregivers know well the burden in caring for someone with Alzheimer’s or Parkinson’s diseases, stroke, traumatic brain injury, or other long-term conditions. Medical advances, shorter hospital stays, limited discharge planning, and expansion of home care technology have placed increased costs, as well as increased care responsibilities, on families. They are being asked to shoulder greater care burdens for longer periods of time. These burdens and health risks can hinder the caregivers’ ability to provide care, lead to higher health care costs and affect the quality of life of both the caregiver and care receivers. Caregiving impacts not only a growing number of individuals, but their families and their workplaces as well. According to recent studies, as many as 42 percent of employed Americans have provided eldercare in the last five years; 17 percent currently provide care. The average age of caregivers is 49—a peak year for earnings and for career achievement. Women, who have traditionally been the caregivers for both children and the elderly, are now in the workforce and less available to provide full-time care, which has led to more men assuming caregiving responsibilities. Most family caregivers reach a point when they realize they need help at home. Tell-tale signs include recognizing that your loved one requires constant supervision and/or assistance with everyday activities, such as bathing and dressing. Caregivers also find that certain housekeeping routines and regular errands are accomplished with great difficulty or are left undone. It may become apparent that in order to take care of any business outside the home, more than one caregiver is required. 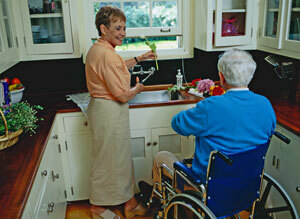 Types of care range from personal to every-day tasks and activities. The average caregiver provides care for more than four years, with some care extending for decades. Few caregivers use paid help: fully 76 percent of working caregivers rely only on their families and themselves. At times, caregiving can seem like a second job. The Traxx Mobility Systems Titan 500 Overhead Patient Lift was designed with the caregiver in mind. The lift system allows a single caregiver to transfer a patient from bed to wheelchair in three minutes without physical strain. Designed for home use, the system fits in the bedroom and allows for an overhead lift without attaching anything to your home. To find out more about the Titan 500, visit our website, find us on Facebook or watch our YouTube channel. In today’s health care environment, hospital and nursing home costs have skyrocketed. 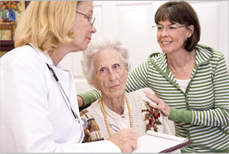 Home Health Care has become the preferred care choice for individuals as well as their insurance providers. For those caring for those with limited mobility, transferring and repositioning patients are some of the most difficult tasks to perform. 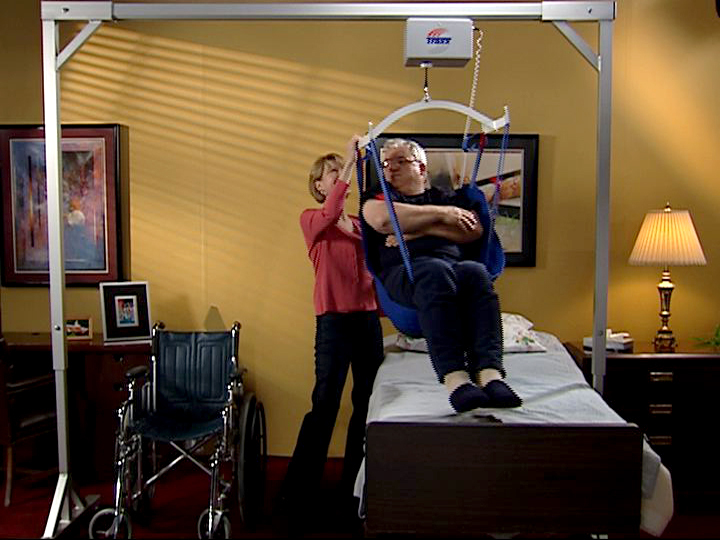 Traxx Mobility Systems has introduced the Titan 500 Overhead Patient Lift to assist the caregiver in accomplishing these tasks. 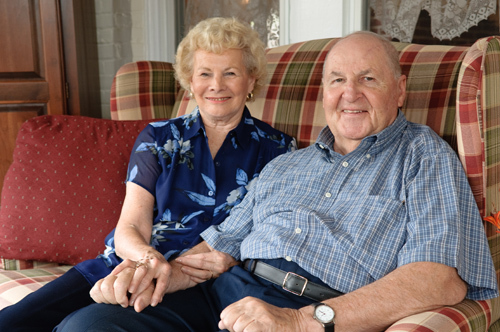 A single caregiver can safely lift and transfer an individual without fear of injury to their loved one or themselves. 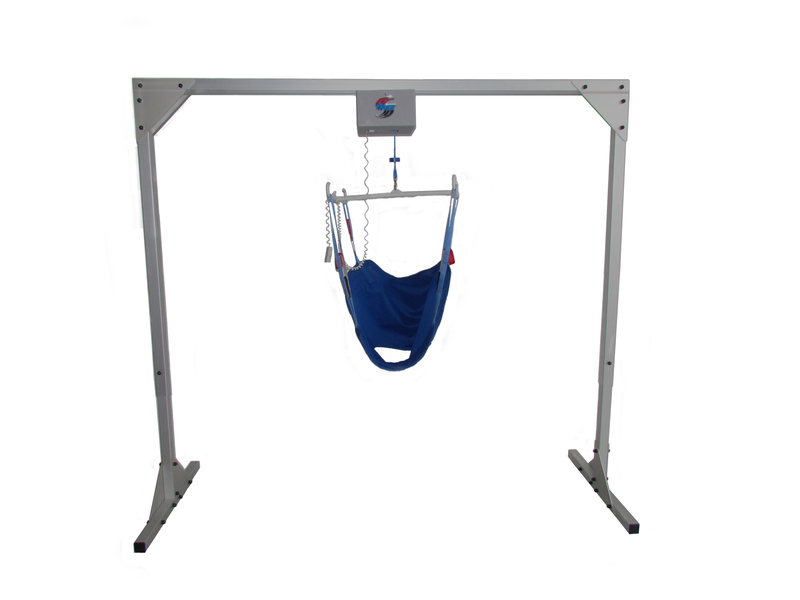 The Titan 500 is a freestanding overhead track lift powered by rechargeable batteries. It will easily lift your loved one from bed to wheelchair and back again with just a touch of the remote control. With its high-strength aluminum frame, the Titan 500 can be quickly installed in any room of your home in twenty minutes. It does not attach to the walls or ceiling and can be taken down and moved to another location quickly. The Titan 500 takes the strain out of lifting your loved one, while providing a safe, comfortable and dignified transfer. The four-point lift bar and included padded sling gives the patient comfort and security while being transferred. The Titan 500 offers an excellent tool for those with limited mobility who choose aging in place and receiving home health care. For more information, visit our website, find us on Facebook or watch our YouTube channel. Can You Scratch My Leg? Caregivers and their patients can become very close but no one can be expected to know what the other one wants without effective communication. Empathy and understanding can go a long way to ease problematic communications. After years of caregiving, I believe I know Lynn’s body and his emotional and physical needs as well or better than my own. Actually, I probably know it better because I don’t pay attention to my own. By becoming that familiar with him, I’ve been able to take quick action to prevent minor problems from becoming major ones most of the time. However, by being so vigilante and adapt at making these assessments, it has resulted in a different problem—Lynn expects me to intuitively know what he needs! 65 and Older Population Soars. Important Safety Tips for Seniors. Aging in Place requires planning to be prepared for emergencies or security issues. Share these very important safety tips with seniors who are living alone. 65 and Older Population SoarS. important Safety Tips for Seniors. There are now more Americans age 65 and older than at any other time in U.S. history. According to a new Census Bureau report, there were 40.3 million people age 65 and older on April 1, 2010, up 5.3 percent from 35 million in 2000 (and just 3.1 million in 1900). The 65-and-older population jumped 15.1 percent between 2000 and 2010, compared with a 9.7 percent increase for the total U.S. population. People age 65 and older now make up 13 percent of the total population, compared with 12.4 percent in 2000 and 4.1 percent in 1900. Aging in Place is a new buzzword that encompasses the idea of growing old and receiving health care in your home. Seniors are avoiding the nursing homes and assisted living facilities of the past and embracing senior-centered communities and taking advantage of services and technology focused on the home. Home Health Care services are working to catch up with the demand as the number of Americans over 65 will double between 2000 and 2030. The Bureau of Labor Statistics projected that home healthcare employment will grow 55% between 2006–2016, making it the fastest growing occupation of that decade. Home Health Care presents its own unique challenges, especially for those with limited mobility. Safe patient handling is a concept that addresses the health of both the patient AND the caregiver. All health care workers who lift and move patients are at high risk for back injury and other musculoskeletal disorders when moving patients in the home without a device. An overexerted caregiver could also accidently injure their patient in the process. Safe Patient Handling has been associated with not only fewer injuries, but also a decrease in the severity of injuries. Workers may think assistive devices will be difficult to work with and time-consuming. Patients and family caregivers may fear that assistive devices will be unsafe or uncomfortable. Patients and families may be unwilling or unable to accept changes in the home. A device may be too expensive for the patient and family. Increases patient safety and comfort. Allows patients to stay in their homes. Enhance patient’s sense of dignity. Handle the increasing weight of patients. Allows single caregiver for patients with limited mobility. The Traxx Mobility Systems Titan 500 Overhead Patient Lift addresses all the concerns associated with patient transfer in the home care setting. The freestanding overhead track frame is strong and secure and fits in the bedroom. The rechargeable electric motor is rated to lift up to 500 pounds and works with the touch of a button. The motor unit glides along the track with a gentle push and allows a single caregiver to transfer a patient without the risk of injury. Contact us today for a quote. For more information, visit our website, watch our YouTube channel, find us on Facebook, and follow us on Twitter. 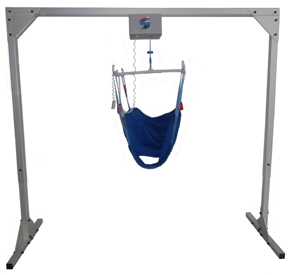 Traxx Mobility Systems is Lifting the Standard for Home Care. Despite chronic disease trends on the rise, life expectancy has shown progressive increases over the last 20 years. These indicators have forced individuals to plan for receiving care for extended periods of time. This has resulted in the rise of aging in place, receiving health care in the home to save costs. Increased pressure on family members to act as part-time or even full-time caregivers is often the result. Caregiving can be an extremely stressful and physically demanding job, yet still be a gift as your loved one avoids the distractions and inconveniences of long-term care institutions. As you prepare yourself to care for your loved one in the home, consider these secrets to caregiving success. Be knowledgeable about your loved one’s illnesses. Coordinating care can be difficult if you have trouble understanding or describing symptoms or changes in your loved one’s health. Caregivers represent the “eyes” of the doctor and the “voice” of the patient. Don’t face your challenges alone, find support. Family members, friends, neighbors, home health care providers or part-time aides may be available to help. Many resources and support groups are available on the web and even in your own community, whether it be a church, non-profit organization or a service of your insurance or health care provider. Have a backup. Find at least one other person able to provide care should you become ill or injured. Keep them up to date on health issues. A daily or weekly journal or email might be an easy way to keep them informed. Speak up and ask for help and accept help when offered. Take time to take care of yourself too. 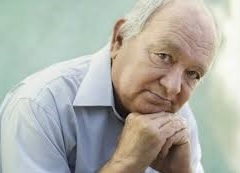 Caregivers have higher stress levels, risk of depression and chances of developing health problems themselves. Seek legal and financial help to ensure your loved one’s needs are and will be met in the future. Keep all of your legal and health documents safe and accessible to anyone else who may provide care. Make your home barrier free and safe to navigate. A home audit can show you ways to make you home safe through rearranging furniture to actual home modifications. Removing fall risks, creating wider spaces between furniture, moving your master bedroom to the first floor, installing medical equipment and potentially meeting ADA standards in the kitchen or bath may be some of the ways to make your home safer and more accessible. Traxx Mobility Systems manufactures and sells the Titan 500, an rechargeable electric overhead patient lift for home care. Our lift system allows a single caregiver to effortlessly transfer a patient, weighing up to 500 pounds, from bed to chair and back again. The Titan 500 is a complete lift package which includes a freestanding aluminum frame, a lift motor with rechargeable batteries, a lift bar, one sling and an easy to use remote control. The safe and secure system is simple to set-up and it’s durable, dependable and Made in the USA! For more information or a price quote, visit our website, watch our YouTube channel, find us on Facebook or follow us on Twitter. Transitions are not always easy, especially when you are ill. Care coordination assists individuals with one of the most difficult aspects of health care—navigating the complex system in which it exists. Pretty cool to see InnovAge’s own Phillip W. Heath published at Provider magazine. 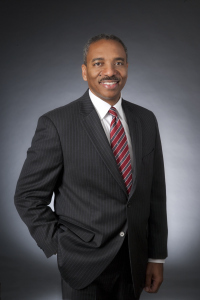 See what he has to say about care coordination for older adults.